Aussie Haircare launched a print campaign using Aurasma. 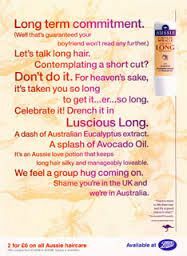 Readers who hovered over the print ads using an Aurasma-enabled smart device, were treated to a video offering hair styling tips from Aussie Haircare ambassador Liz Taw. Those who clicked through for further information were able to register for a 50p off voucher at Boots. To see this Aura in action, download Aurasma for free, subscribe to the "Aurasma Case Study Auras" Channel and then hover your phone over the image in app.